If you’re struggling for inspiration when it comes to selecting a gift for you're a soon-to-be-wed friend or family member, it may be time to think beyond the standard list. Being invited to a wedding, no matter where it is, often involves selecting the perfect gift for the bride and groom can be a challenge – especially if they’ve already been together for a while. Traditionally, newlyweds are given household items so they can settle into their new marital home comfortably, but plenty of couples now move in together well before they get married, so they have already bought essentials like toasters, kettles and cutlery. If you’re jetting off to a destination such as Thailand for the nuptials, it’s important to choose a gift that can be packed neatly into your suitcase – or better still, to purchase a wedding present after you arrive. Below are a few original gift ideas. 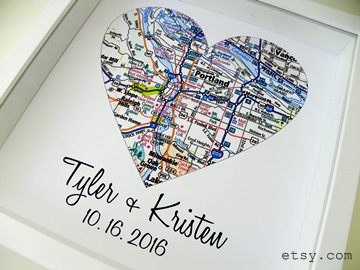 At a destination wedding, what better gift could there be to present the bride and groom than a custom made map of the country or locality they have chosen to the tie the knot? If they’re getting married in Thailand, for example, you could give them the map on the big day and then offer to have it framed later on so it can be transported home more easily. If possible, try and get your hands on a map that includes the precise location of the ceremony. That way they can hang it up at home as a permanent reminder of their tropical celebration. If your loved ones are saying their vows in the Land of Smiles, it’s likely that they’ll be heading off after the big day for their honeymoon. A matching set of his and hers bags is therefore a perfect present to help them set off in style. 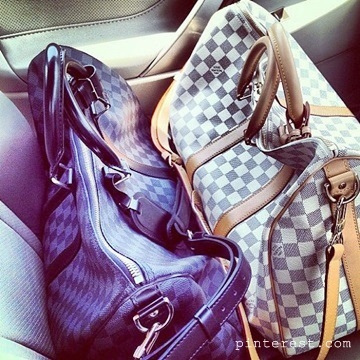 The matching his and hers Louis Vuitton bags are a favourite, and a great size for a weekend away. The designer malls in Bangkok such as Siam Paragon and Emporium stock all the big brand accessories. When it comes to selecting a wedding gift, many people have the same problem, namely: what do you give the couple who has everything? To overcome this problem why not treat the couple to an indulgent gift that includes a selection of things that you know they love? 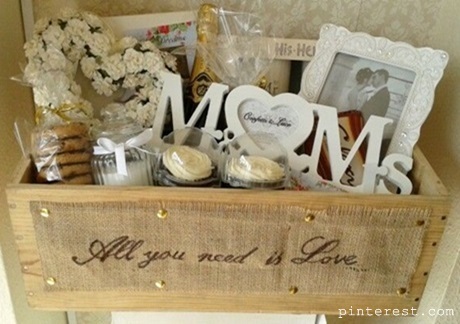 Creating a honeymoon hamper can be a lot of fun, because you can pack and decorate it too to match the bride and groom’s tastes and indulgences. Hamper sets for the new bride can include tickets to a lavish Thai spa, while vintage cigars may suit the groom. If they’re a foodie couple, you can pick up some good wine, Italian ham and French cheese and give them a ready-to-enjoy picnic. While your friends might have everything they need for their home, they may not have everything they want in terms of decoration. It’s always fun to bring something home that will remind you of exotic holiday memories, so why not head down to art gallery and browse some original paintings for inspiration? A watercolour scene of the beach where they said their vows could serve as a wonderful reminder of their big day. 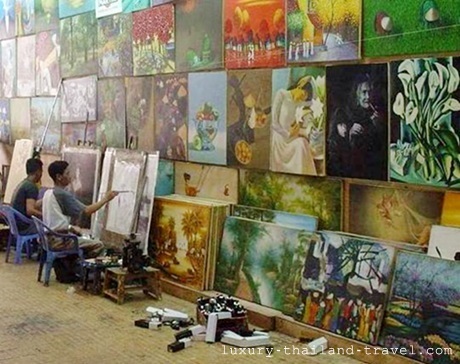 Thailand is also home to plenty of craft shops if you think they might prefer a traditional wood carving to complement their home décor scheme. A personalized gift is always a good way in if you’re struggling to think of anything specific that the bride and groom might like. 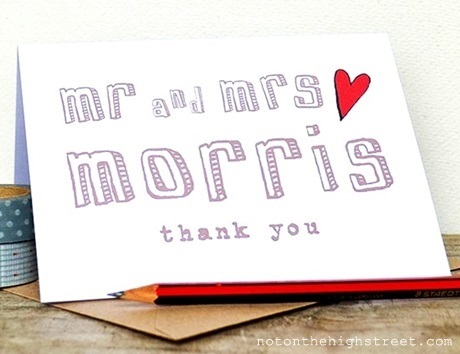 Of course, shortly after their wedding you know that the newlyweds will be getting down to writing copious thank you notes to the friends and family that jetted halfway across the world to share their wedding celebrations. You could make sure they’re well-prepared by kitting them out with personal letterhead stationery with their married names at the top. You could also get some cute notecards printed at the same time for them to use as memos that will inject a little bit of fun and personality into everyday tasks.